I’m on Craft Project Central! 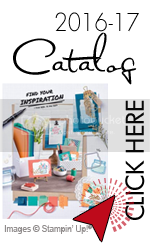 Categories: 3-D Items, Cards, Home Decor, Thanksgiving	| Comments Off on I’m on Craft Project Central! Categories: Baby, Home Decor, Kids	| Tags: Decor Elements, Home Decor, Kids, Stampin' Up, wild about you	| Comments Off on The Baby’s Room! Categories: Home Decor	| Tags: Decor Elements, Home Decor, Stampin' Up	| Comments Off on Do Good. Be Kind.